Please shop with us and raise funds to help local animals. Our target is to achieve a monthly profit of £1,000 at each of our shops, which will safeguard the future of the services which we provide in the Cambridge area. 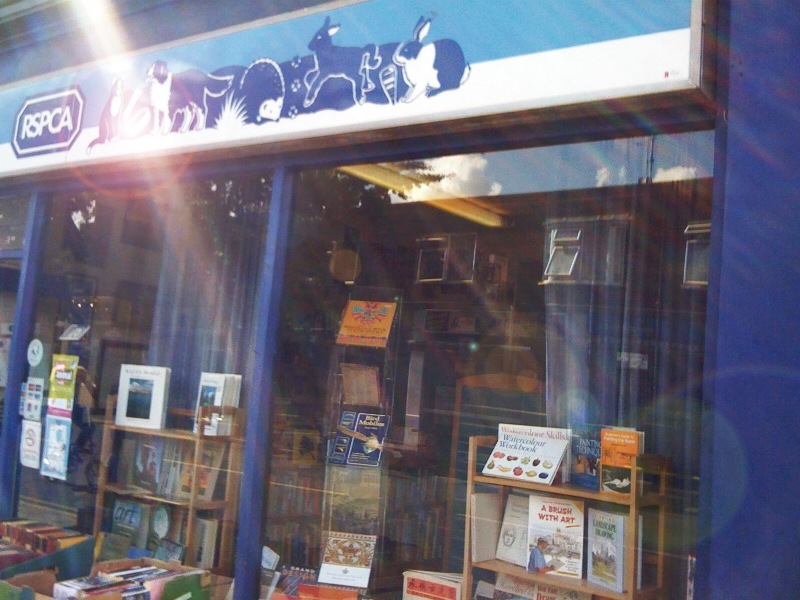 We have an enormous stock of quality fiction and non-fiction: novels, poetry, literature, crime, sci-fi, plays, art, audio-books, aviation, natural history, DIY, biography, business, children's, curio and collectable, economics, esoteric, history, sport, new-age, health and fitness, humour, languages, linguistics, film and theatre, music, self-help, theology, psychology, computing, textbooks, craft, cookery, science, current affairs, philosophy, politics, sociology, topography, travel... New items go out daily, so keep coming in. We also stock secondhand music records, CDs, DVDs and videos. We aim to run the shop as professionally as possible, with books sorted into their correct categories and sensibly priced. We're looking for volunteers with an interest in books - particularly people with specialist interest in particular genres - to keep our stock up to the mark. Eventually we hope that each category will be "adopted" by a volunteer with a particular interest so that we can make the best possible use of the stock donated to us. For example someone with a particular interest in folklore would be best placed to identify books which are worth special display, or ones which should be grouped together. If you don't think you have any particular special knowledge, we still want you! There are lots of jobs which just need willingness to learn; and, even more important, willingness to carry lots of books up and down stairs! The shop is able to provide work experience placements for year 10 and 11 students. We need book, video and music donations! In order to keep people interested in browsing and buying from the shop we need a constant flow of new stock, so that the shelves in the sales area keep changing. Please keep us in mind if you ever need to dispose of books, CDs, DVDs, videos etc. We can sometimes arrange collection within about a 10 mile radius of Cambridge if you have a large quantity: please phone 01223 212 644. We usually need at least 7 days notice to arrange a collection as the people doing it are volunteers and may not be available at very short notice.